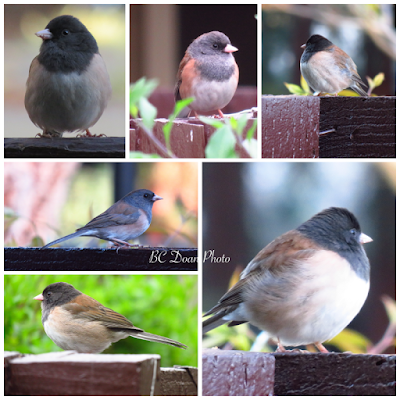 I saw these beautiful juncos while visiting my daughter in Santa Clara. 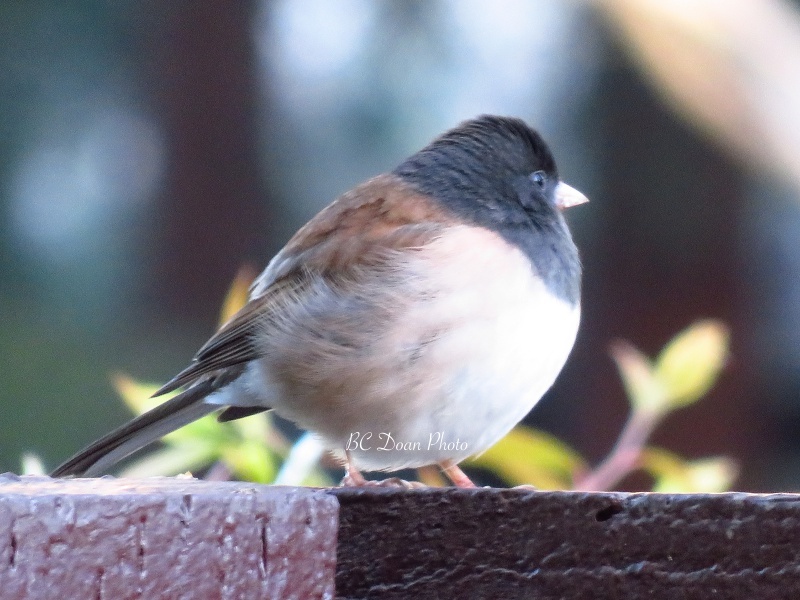 They perched on the fence of her patio, and seemed very confident, not skittish at all. They came as a pair, and I don't know which one is male or female. I just love the rusty feathers on them and the clear tri-colors on them. My favorite thing to do on my vacation was stalking the birds, and sitting on the beach. So round, like a ball. These juncos really do stand out. Bom dia, a ave é linda, as boas foto com qualidade e nitidez, mostram na perfeição os belos detalhes, as fotos são magicas. Very nice photos! I don't think these beauties get down to the bottom part of the state. Wanted to invite you to a meme SEASONS I started about 7 weeks ago. 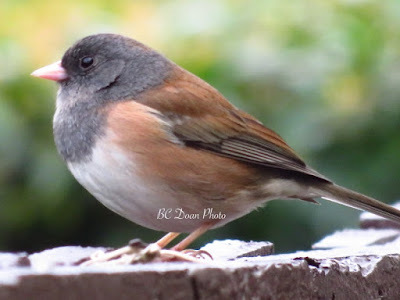 Anything and experience, as long as it's during the season, goes:) Photo link is open Sun-Wed. till 7pm, Pacific time. Hope to see you there, this or next week! I only post once in a while or when the mood strikes :) I will check it out and will keep in touch!